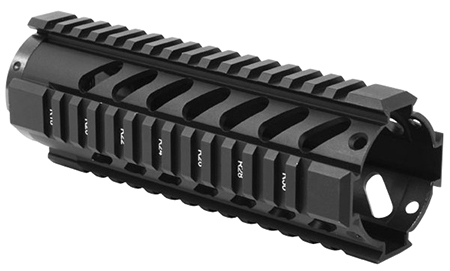 The Carbine Length Free Float Quad Rail is a 1piece free float handguard for the AR15 platform. Its quad rail design offers plenty of picatinny rail to mount accessories. The Tmarked rails allow accessories to be removed and replaced with ease and ensures consistent replacement. A continuous top rail provides a monolithic look with a standard flattop receiver.